St. Ambrose Gives Power to Seniors! Nothing fills us with warmth and holiday spirit like giving back to our community. 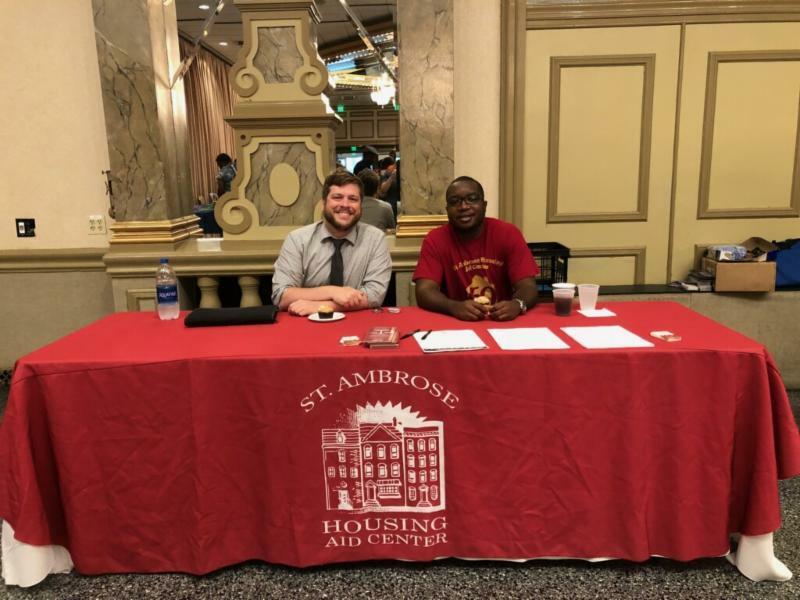 Because of your help and support, St. Ambrose is able to provide programs and services to low and moderate income families in Baltimore who need a helping hand. 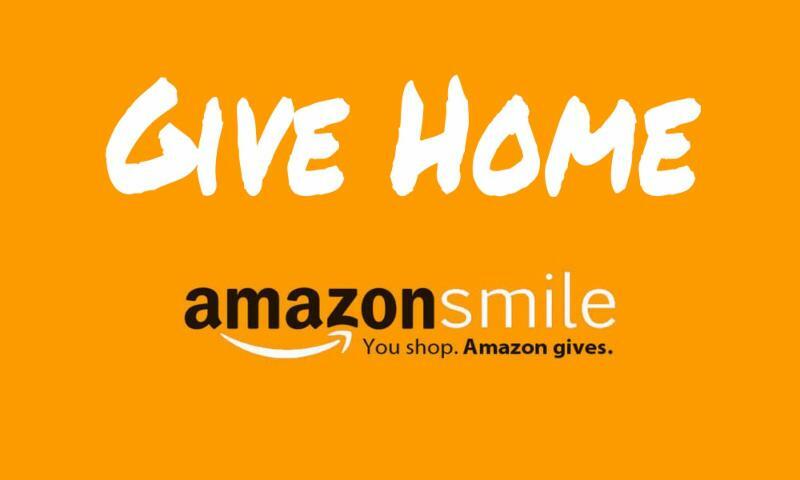 ﻿Online donations are a quick and easy way to give. Please visit our website www.stambros.org and click on the Donate Now button to contribute. here are a few other ways you can support St. Ambrose! we serve are Older Adults! St. Ambrose is now a HUBS Site! Housing Upgrades Benefiting Seniors (HUBS) is a program that assists older adults (over 65) in Baltimore city. This program allows seniors to continue to live in their homes and neighborhoods as they age by helping them with home repairs and modifications. Older Adults like the B. Family. The B.’s, a moderate income couple in their 80's are living in a single family home in Baltimore City. They became clients of the HUBS Program when Mr. B. slipped on an area rug and broke his leg. A HUBS social worker visited the home in advance of Mr. B’s release from the hospital. The social worker contacted a company regarding installation of an exterior stairlift to enable Mr. B. to exit and enter his home over the coming months while in recovery. The HUBS social worker will be assisting the B’s in applying for government programs that provide loans and grants for accessibility to cover the cost of the lift. In this way, the HUBS program assists seniors in remaining safe and independent in their own homes for as long as possible. Last year, The Legal Services Program at St. Ambrose was able to provide resources to over 480 older adults. The vast majority of services addressed the issues and concerns of wills, estate planning and reverse mortgages. Our assistance improves the general well-being and financial stability of individuals when they need legal representation but are unable to afford it. Representation may include brief advice, advocacy, or litigation. Aigburth-Vale is a historically renovated Senior Community that features weekly trips, holiday costume contests, solar energy systems and the introduction of Amazon's Echo with Alexa Voice Service. Theses are just a few of the perks that come with living in this neighborhood. 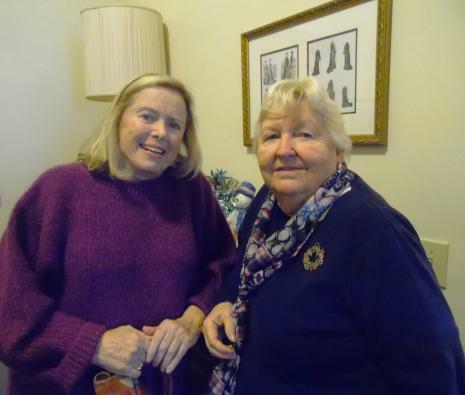 Nancy (pictured far right), a resident at Aigburth-Vale said, "7 years ago, I knocked on the Aigburth-Vale office door where I met Mimi Kelly who showed me a ready-to-go apartment. I wrote a deposit check, called my children and the rest is history. I even have my bridge group here! I love the holiday decorations, various get-togethers and the accessibility to medical services (blood tests, flu shots, opportunities to speak to a nurse)." in the Mansion at Aigburth-Vale! First established in 1988, St. Ambrose's Homesharing Program matches two parties based on various levels of compatibility. Our staff helps home seekers and home providers take the guess work out of searching for a well-matched homesharing agreement. 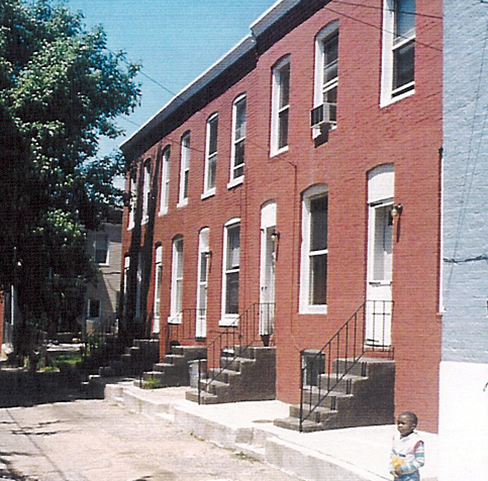 "For the past 30 years, St. Ambrose Housing Aid Center has been a beacon for Baltimore residents with housing needs. 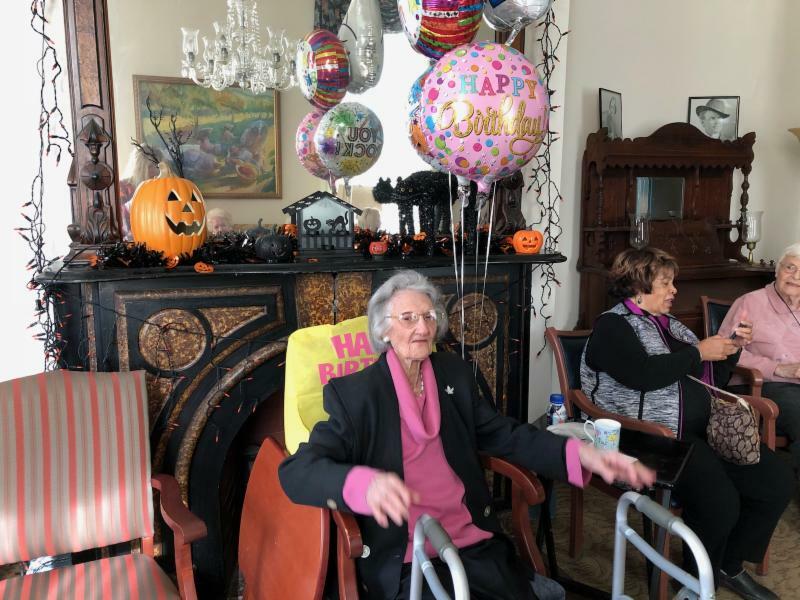 I fully endorse and recommend the program to seniors especially, who are looking for a little financial security and companionship," said Yvonne Hardy, lifelong resident of Baltimore. In Fiscal Year 2018, St. Ambrose successfully matched 37 older adults with individuals who aligned with their specific needs. Your gift in any amount is PRICELESS. Give the gift of Home.